Appointment of Mr. Joichi Ito, Director of the MIT Media Lab, as Advisor to Tokyo Otaku Mode Inc.
Mr. Joichi Ito, director of the Massachusetts Institute of Technology (MIT) Media Lab, has accepted the appointment of advisor to Tokyo Otaku Mode Inc. (TOM, incorporated in Delaware, U.S. by President & CEO Tomo Kamei) a venture that advocates and distributes Japanese "otaku" culture (anime, manga, cosplay, etc.) to the world. Mr. Ito will offer advice based on his experiences as a venture entrepreneur and individual investor, as well as his knowledge of the latest internet and digital technologies. With Mr. Ito's advice, TOM aims to increase its value as an enterprise with the use of a strengthened management, a structured compliance system, an increase in the quality of our services, and the versatility of the TOM team under Mr. Ito’s direction. Chosen in 2008 by the U.S. BusinessWeek magazine as one of the "25 Most Influential People on the Web," Mr. Ito is considered to be responsible for the popularization of the internet in Japan. 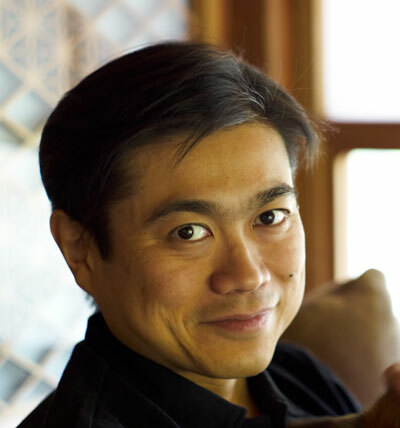 In addition to serving as the director of the MIT Media Lab, Mr. Ito is co-founder of Digital Garage, and serves on the board of directors of the Knight Foundation, the John D. and Catherine T. MacArthur Foundation, and the Mozilla Foundation. This year, he was appointed to the board of the New York Times Company, the publisher of the New York Times. As an angel investor, Mr. Ito has invested in several internet-related ventures in Silicon Valley, advised these ventures, and provided his generous help in developing the internet-centric industry. TOM aims to provide a platform for fans and hobbyists of otaku culture to contact one another, a platform for content-creators to be fully credited for the work they have produced, and an atmosphere of respect for the content creators. TOM hopes to provide services to enrich the otaku lifestyle and contribute to the global entertainment market. Born in 1966, Mr. Ito is director of the MIT Media Lab. In addition, he serves as board chair (and former CEO) of Creative Commons, a non-profit organization devoted to managing creative works available for legal utilization and sharing. He sits on the boards of the New York Times Company, Knight Foundation, John D. and Catherine T.MacArthur Foundation, Mozilla Foundation, and WITNESS. In Japan, he was a founder of Digital Garage, and also became CEO and helped establish the country's first commercial Internet service provider. He was an early investor in more than 40 companies including: Twitter, Six Apart, Wikia, Flickr, Last.fm, Fotonauts and Kickstarter. In 2011, he was selected by Nikkei Business as one of the "100 Most Influential People in Japan," and by Foreign Policy magazine as one of the "100 Top Thinkers in the World." About Tokyo Otaku Mode Inc.
Tokyo Otaku Mode™ was created on March 24th, 2011, by President & CEO, Tomo Kamei and was incorporated in the state of Delaware, U.S. in April 2012. TOM began on Facebook, the world’s largest social networking site, as a page for introducing news and events related to Japanese otaku culture. Within 16 months of operation, TOM has accumulated over 5.7 million likes on Facebook, becoming the largest Facebook page managed in Japan. TOM's website, "Tokyo Otaku Mode.com (http://otakumode.com)", is currently undergoing alpha testing.